Are you hoping to find a decent full service tailor to be fitted and measured properly, with a little more detail than your average hem? Our seamstresses have years of experiences in making and repairing apparel. 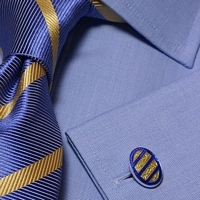 If you need reconstruction, dye bleed restoration, re weaving, hemming, collar or label referrals, consider us. Generally one week is need to provide these services. Dressmaking from pattern, or from personal measurement takes longer. Consider us with you garment, repair and reconstruction needs. Ship to us and we'll insure and pay return shipping to you.